Below is an announcement concerning the launch of a five year project, as part of USAID's Feed the Future Initiative, to bolster agriculture in northern Haiti. In addition to nuts and bolts such as preventing erosion and promoting irrigation, the project will also expand the access of farmers to new(er) technologies such as mobile money. The $87.8 million project will be led by Development Alternatives Inc (DAI) with Haitian firms Agridey and AgroConsult sub-contracting. Below is a brief article from the Economist on the relationship between food security and food imports. 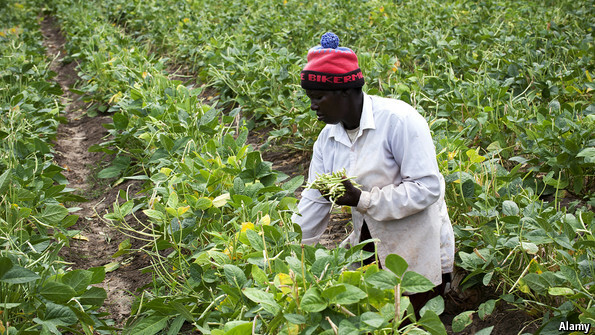 Both aid and trade policies have long subverted domestic agriculture in Haiti. President Martelly has set a target of meeting 60% of Haiti's food needs through domestic production within three years. This is a tough row to hoe as it requires better resource management, irrigation, reforestation, and natural disaster preparedness. 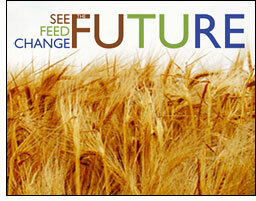 Food security isn't just about rice though. Greater production of yams, sorghum, manioc, sweet potatos, and corn would help. Below is a brief Caribbean Journal article concerning yesterday's joint launch by Haitian President Michel Martelly and Dominican President Danilo Medina of a reforestation project in NE Haiti. The project is entitled "Regreening Haiti-DR" and is based on Dominican experience in forest recovery. 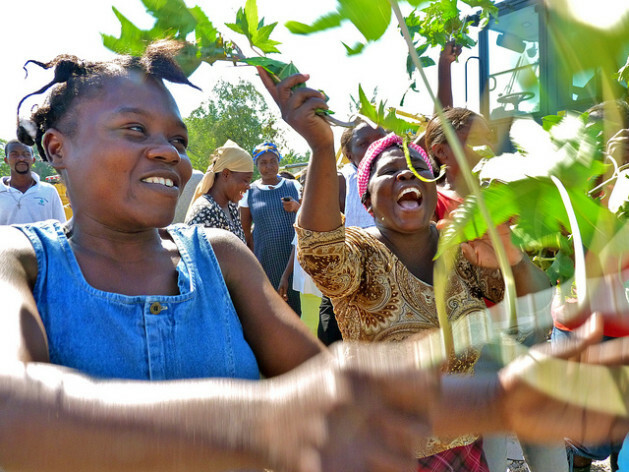 2013 has been designated "The Year of the Environment" in Haiti and, by expanding environmental partnerships, both countries stand to benefit. 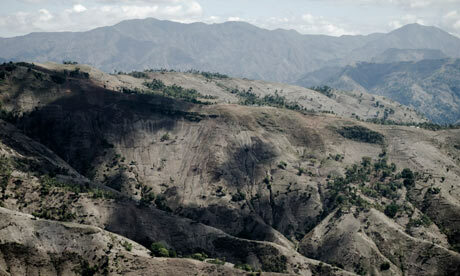 Below is an article by Rashmee Roshan Lall of the Guardian concerning the Haitian government's plan to promote the planting of 50 million trees a year. The success of this campaign will largely depend upon giving people accessible, affordable alternatives to charcoal. Other countries have launched successful reforestation campaigns - hopefully, Haitian government and civil society can now do the same. Below is an article by Trenton Daniel (AP) concerning a beautification project, inspired by Haitian artist Prefete Duffaut, in the neighborhood of Jalousie. Plans are underway to include additional neighborhoods. The initiative is not without controversy - slums in Port au Prince have many other needs including water, security, and jobs. 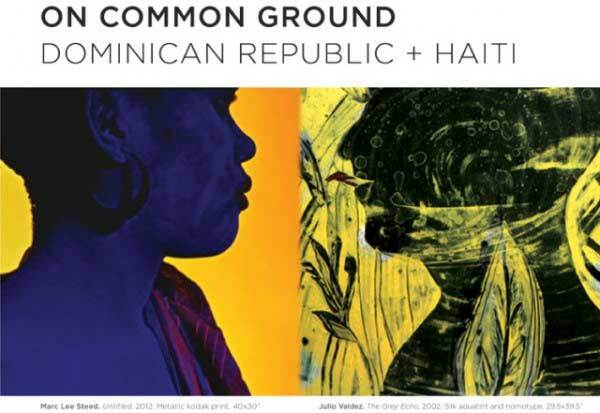 Still, Haiti is a colorful country with a vibrant artistic tradition that Jalousie increasingly reflects. The Public-Private Alliance Foundation (PPAF) is holding a consultation on ethanol cookstoves at the United Nations on April 4th. The purpose of the meeting is to bring together stakeholders that could expand production and use of ethanol in Haiti and to raise awareness about how clean energy could slow deforestation and created green jobs. Another good source of information is Project Gaia, which has been promoting ethanol stoves in Mozambique, Nigeria, Ethiopia, Brazil, and most recently Haiti. The full announcement follows. Below is the latest semi-annual report from the United Nations Stabilization Mission in Haiti (MINUSTAH) covering the period from August 31st - March 15th. 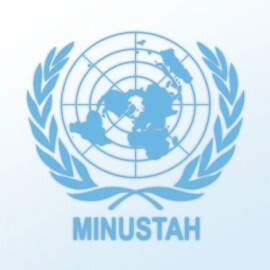 The report provides an overview of key developments during this time, especially police capacity, rule of law, and human rights promotion - all of which need to be strengthened significantly before MINUSTAH can fully transition its responsibilities to the Haitian government. I grew up in the midwest and Chicago, being our largest city, was the promised land. 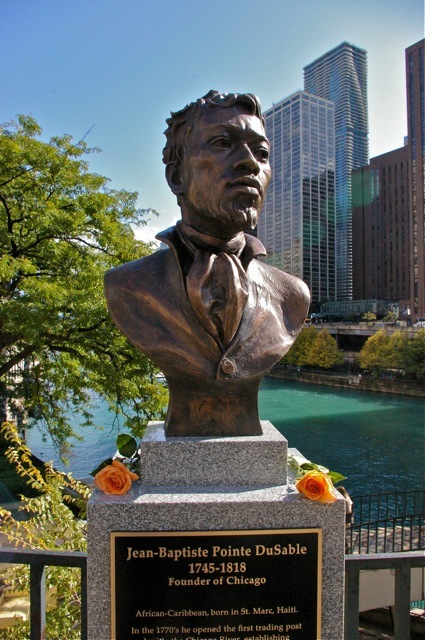 Only well after living in Haiti did I learn that the first non-native resident of Chicago was Jean-Baptiste Point du Sable, a Haitian who made the long voyage from Saint Marc. A Haitian Times article about the "Founder of Chicago" follows and you can learn more through the Du Sable Heritage Association. The Haitian-American population there may not be large, but Chicago's history is forever connect to Haiti's.